This is an article sent to me by guest blogger, Thorpster. I have known this man for many years, playing cricket with him at Southgate Adelaide CC for about twenty of those, and his articles are always thought provoking, as well as being some of our most popular viewings. Here he looks at those taken from us prematurely, and why cricketers have that bond and special banter that maybe other sports don't have. This site is renowned for its jovial and some would say immature reflections on cricket and everything to do with it. However is times like these that even those of us who choose to take a more light hearted view of life step back and take stock. When a young Adonis such as Tom Maynard is taken to that great pavilion in the sky so prematurely, it hits us hard in the face just as that rock hard red cherry did, bowled by another whose life’s innings ended prematurely, the late, great Mako Marshall who bumped it into Gatts hooter all those years ago. Dan, the co-editor of this site called me when the news began to break and was to put it mildly stunned and shocked. He had interviewed both Tom and his dad Matt recently and remarked how enthusiastic and willing to help an up and coming enterprise such as the Middle Stump they both were, and how in no way did they feel it beneath them. My memories of Tom are, and will remain dominated by his appearance on Cricket AM this Saturday. He was on with two of his close mates, Jason Roy and Stuart Meaker. The bond between the three handsome young men was obvious for all to see as they exchanged gags and laughs about various subjects, in particular Jason Roy’s biceps, which he had laughingly christened, “Des” and “Troy” or “Destroy”. I looked at these three bright eyed hulks of men delighting in each others company and who were looking forward to the joy and delight that the next fifteen years of sport would bring, at an elite level, ahead of them. Young Tom of course will have heard plenty of his dad's tales and was looking to forward to fulfilling his potential on the international stage in a way that his father Matt never quite could. The electric current that appeared to be running between the three young heroes occupying the Cricket AM sofa took me back to a different place in time. In 1990 myself, the editor of this site and a number of other young guns came together in similar way forming the backbone of an up and coming club side, albeit at an all together different level. But I could see, and only envy the bond felt by the three young Surrey Lions as they laughed along. I also thought to myself that if I was in their shoes, that of the two hosts, I would be paying a little more attention to Sarah Jane Mee than Matt Floyd! 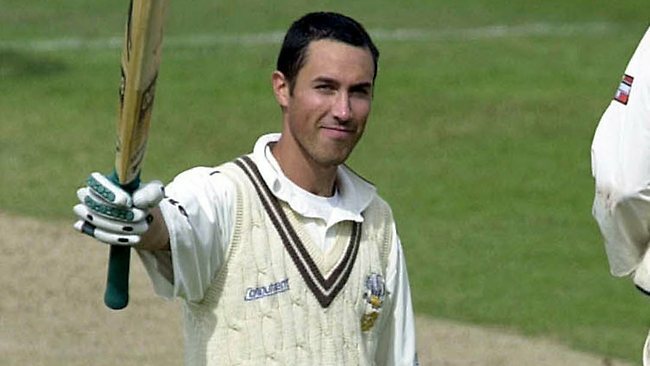 Cricket, sport in general and Surrey in particular lost another young Adonis, in similarly tragic circumstances with the loss of “Baby” Ben Holliake, to a car crash in Perth near his childhood school, Wesley College in March 2002. The cricketing world then mourned the almighty but tragically unfulfilled talent that Baby Ben possessed. Recent stories of Ben’s kit being stolen featured on these pages. However I was more touched by a story I read about how Ben’s tragic and untimely death had deeply affected his older brother and Surrey and England compatriot Adam in so many ways, both good and bad. Interestingly Adam now the same age as myself at 40 has embarked on a new career in professional boxing and mixed martial arts. Adam like many found himself crushed by the global recession when his property portfolio crashed but is now fighting back literally. Other examples of sportsman taken at what seems like a ridiculously young age are Duncan Edwards, the young Manchester United and England footballer from the West Midlands, and more recently Wales football manager, Gary Speed. If you listen to friends and fans alike speaking about such heroes, what comes across about their deaths, was the shock people felt at their mortality. When we see the likes of them, Baby Ben or Tom Maynard on our screens - huge, good looking, stylish, confident and with the world at their feet, to us mere mortals and every day folk, they seem fearless and frankly indestructible. Look at probably England’s two greatest cricketing heroes of the modern era, “Beefy” Botham and “Freddie” Flintoff, both physical giants but also brave, fearless, swashbuckling and indestructible. I have often watched films about the Munich air disaster and people speak of their shock at the passing of big Duncan, due to his sheer, size, presence and indestructibility. When Gary Speed so sadly left this world, many spoke of his amazing good looks and effortless style, saying if he had wanted to he could have easily forged a career on the catwalks of Paris and Milan, rather than just dabbling as many sportsman do in adverts for high street labels such as Top Man or Marks and Spencer. So when these handsome giants are felled, many of us as in yesterday’s example of the editor of this site, are stunned and shocked, and consider our own mortality. As we speak of the circumstances surrounding young Tom’s death, they are shrouded in mystery and speculation. No doubt some of the more judgemental of us will consider these circumstances and throw out phrases such as “he who lives by the sword” etc. But to that I say, show me a man who hasn’t made a mistake and I’ll show you a cricketer who hasn’t dropped a catch. The fact is we are all fallible humans. The only fortune most of us have is that the mistakes we all make do not have such profound consequences. In my own cricketing life, my club, Southgate Adelaide CC has seen several such tragedies. A young umpire and club secretary dying of diabetes related illness, a 2nd eleven batsman affectionately known as “Mika”, killed in a car crash and an former tearaway fast bowler tragically murdered within yards of our cricket ground. All these events flashed through my mind as I read about yesterday’s tragic events. But what I kept coming back to was the love and spirit between those three thrusting, handsome young men on the Cricket AM sofa, with so much to look forward to. Such an obvious and strong bond that in my experience can only be forged by the joy of a team sport and more than any other cricket, where so much time is spent together with your team mates both on and off the field. 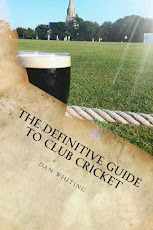 So many of us will have learned the greatest and most worthwhile lessons of our lives, by growing up as part of a cricket club at whatever level, from the club scene right through to the pinnacle of the game. As a young man, I remember a strangely profound conversation with someone known to the other members of my club as “Dodgy Mo”. He was discussing how a 99 year old woman, with every ailment under the sun, who wanted to die was seemingly living for ever whilst a young women in the same road with a young family and everything to live for, was dying of cancer and saying how he couldn’t reconcile the two in his mind. When questioning why a young man like Tom Maynard was taken from the wonderful game of cricket at such a young age, it appears equally irreconcilable. How sad to read this. RIP Tom. Thank you for your message. You sound as if you were closer to Gary than we were? Thank you for your comment. You have our sympathy.